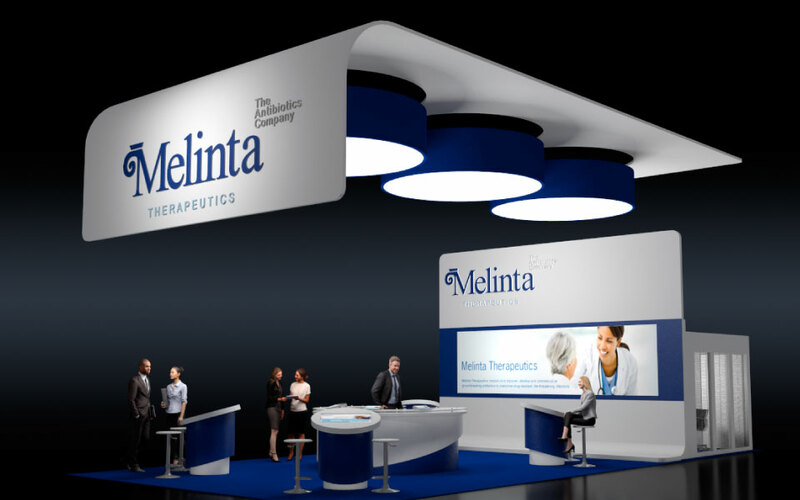 A double deck booth offers maximum trade show exhibiting presence while impressing attendees as well as your competition. 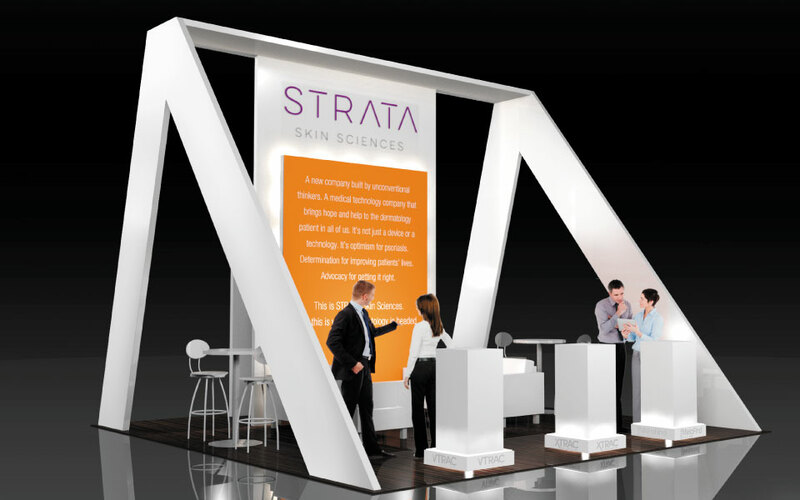 Whether you need additional office space, exhibit space or lounge areas for VIP guests, two story trade show exhibits offer scale and visibility. 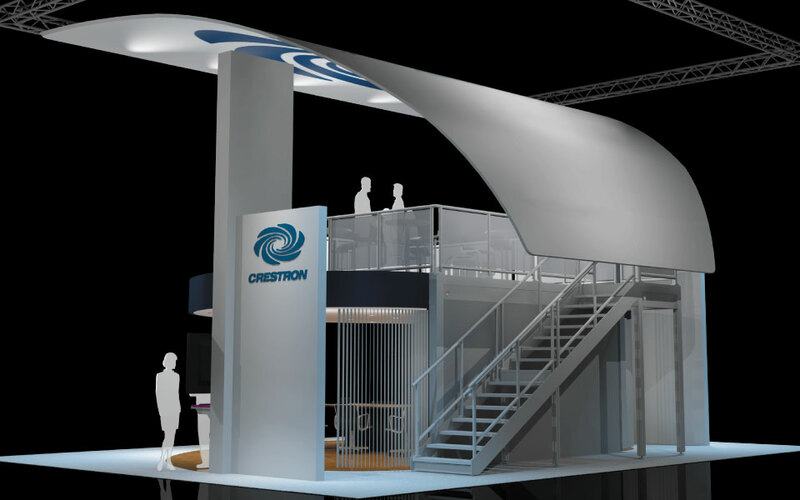 Crestron’s double deck booth design used their location at the end of the main hall, as a starting point and advantage for the overall concept. 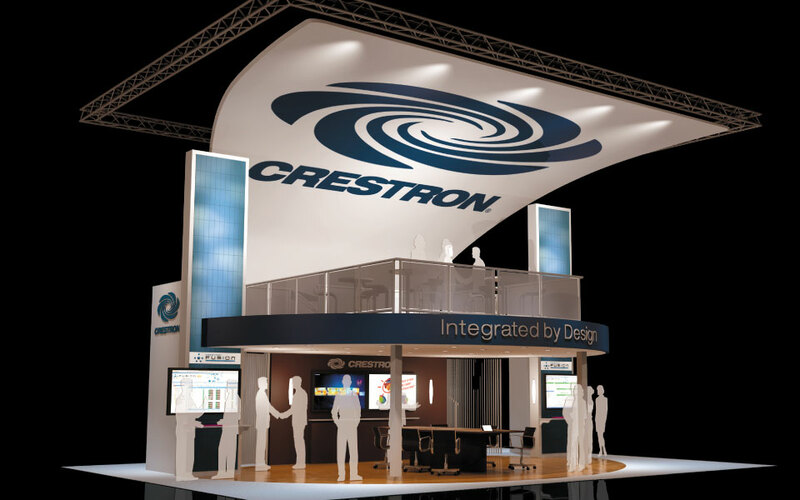 As you enter the hall, the impact of the large canopy guides you directly to the Crestron booth. 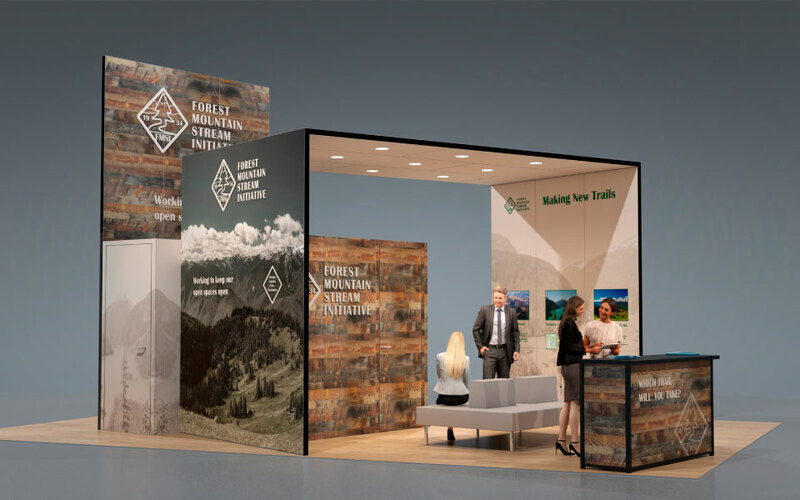 The canopy logo draws your eye to the elegant wood toned board room below. A custom wood conference table integrated one of their control units which controlled the lighting, retractable blinds, and AV systems. 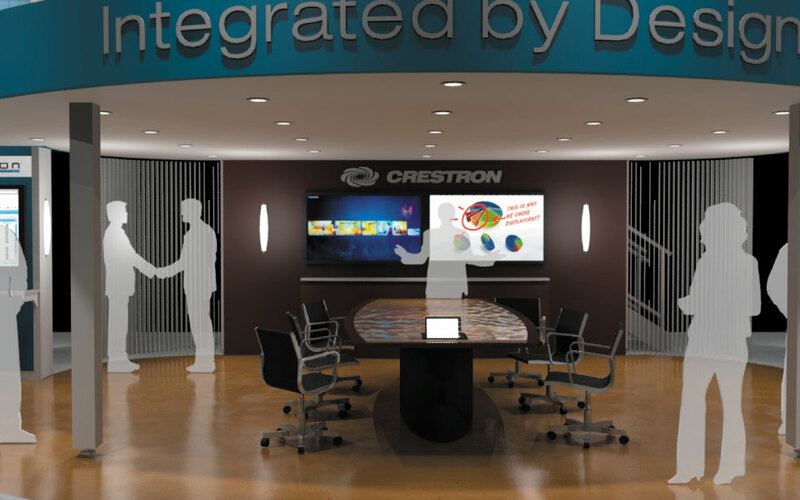 Two touchscreen monitors mounted on the back wall offer presentation capabilities of their building control systems. Flanking the boardroom are two tower areas for individual break-out sessions. 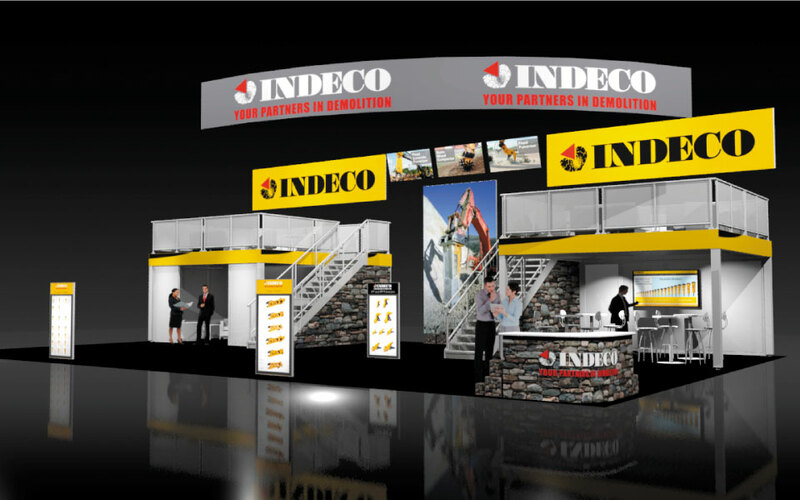 The two architectural towers are visual expressions of the large facilities where the products are installed. 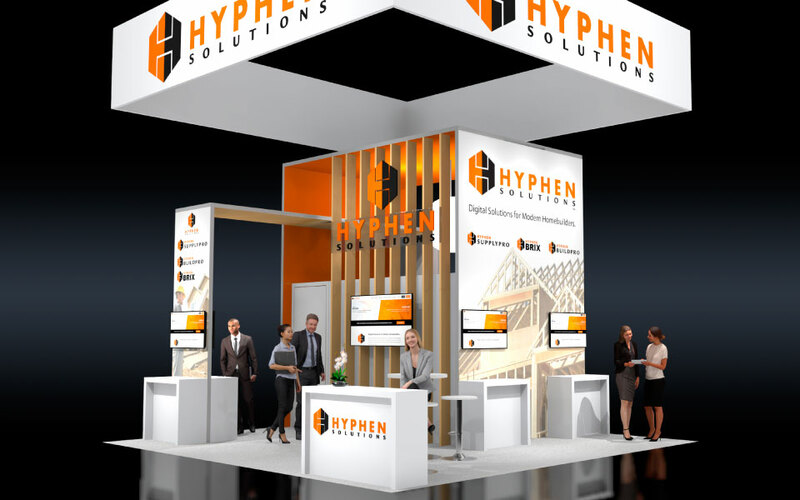 These towers add scale to the booth and define the raised deck and private meetings area. Design features include brilliantly illuminated ceiling mounted lights, automated retractable blinds, inlaid flooring, storage area behind the featured wall, integrated accent interior lights, strait staircase to the upper deck, two graphic towers to simulate sky-scrapers with 55” monitors, and a large tension fabric branded custom canopy for visibility.